Shuttling back and forth to the International Culinary Institute in New York City each week for six weeks in May-Jun for “Steven Shaw’s Food Blogging” class has had many wonderful, unexpected benefits, the most prominent of which was the synchonrous introduction to national best-selling author, Mara Purl. 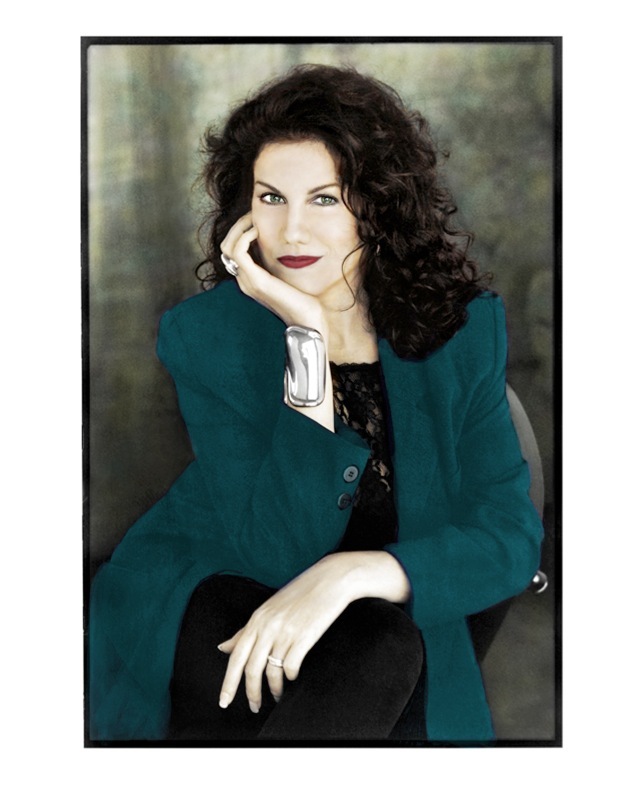 Mara has an amazing bio as a journalist for Rolling Stone, a staff writer for Financial Times of London, an actress (Days of our Lives), and as a writer-producer of a successful radio drama (Milford-Haven USA) licensed by the BBC, among many, many other accomplishments. For the flight time between LaGuardia and Chicago, Mara and I had the great fortune of recognizing one another as friends of the most wonderful sort, friends of the heart. While The Essential Garden’s mission is to explore and promote the wonders and benefits of today’s organic and sustainable food cultures, an underlying tenet of this exploration aligns with my meeting Mara: a recognition that each of us is called, compelled really, to follow our heart’s desire. 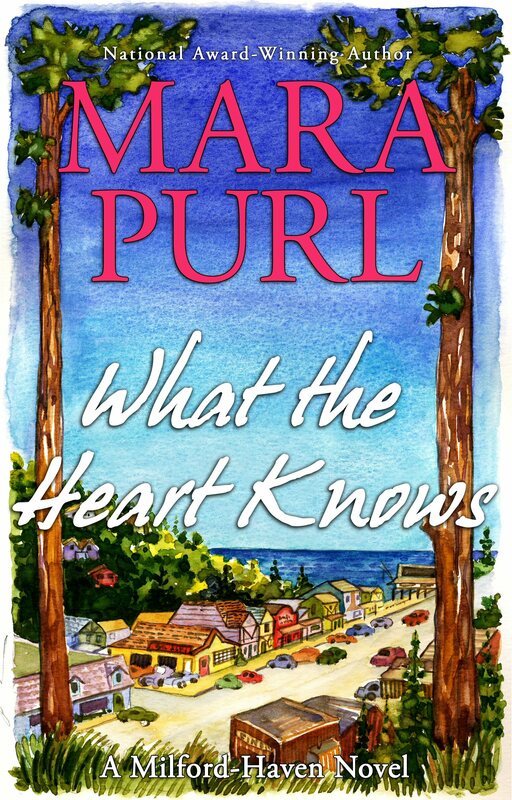 Linda Naylor: The geographical setting for What the Heart Knows is the fictional town, Milford-Haven of Wales origin, near beautiful Cambria, California on the Central Coast. I’m familiar with Cambria and, in fact, took the drive from Los Angeles through Santa Barbara and San Luis Obispo to Morro Bay. What features of those coastal towns created the impetus for the design of Milford-Haven, and why did you want your characters to be in such a setting? unfold. For Sue Grafton it’s her fictional town of Santa Teresa. For me, it’s my fictional town of Milford-Haven set in the real California Central Coast. protagonist, were to the confluence of the story’s characters. Since What the Heart Knows is the first in the Milford-Haven series, how do you see Miranda Jones in subsequent books? MP: The first important feature about Miranda is her willingness to begin listening to her heart. She’s a young woman of privilege, with parents who love her, but who expect her to “keep up with the Joneses”—which in her case, is her own family tradition. Her father has told her all her life to “use your head;” her mother has said, “you’re a smart girl.” Because this is basically good advice, and because her parents do love her, the things that are holding her back from her own development are actually quite subtle. Yet an inkling becomes an instinct, and a question becomes a burning need to listen to intuition. Could there be a different way to live? Could she make it on her own without family support? Paying attention to these internal urgings is uncomfortable! They cause upheaval and disapproval. But she’s willing to weather all this, and follow her heart into a completely new life in this little town of Milford-Haven. identity and a wonderful sense of fulfillment. This entry was posted in books and tagged books, mara purl. Bookmark the permalink.